When male celebrities and large corporations publicly address their embarrassing behavior, what are we to make of their openness? Since the Me Too Movement started to spread virally last October, we’ve been seeing a lot of male celebrities publicly address sexual behavior that they find regrettable or embarrassing. First Harvey Weinstein, then Kevin Spacey, then Charlie Rose, then many many others—celebrity men kept addressing their behavior. Then companies started addressing their embarrassing behavior, which wasn’t always sexual in nature. During the NBA finals, UBER, Facebook and Wells Fargo all ran ads that addressed the scandals the companies had been going through. A lot of people have classified these public addresses as apologies but I think they often weren’t. Most of the men and the companies never directly said sorry to the people who accused them of wrongdoing. I found the statements, responses, and “apology ads” mostly annoying, disrespectful and narcissistic. They also seemed sincere. Their sincerity didn’t make them better. If these statements, responses, and “apology ads” weren’t really apologies, what were they? In an article for Slate, Lili Loofbourow classifies the way a lot of male celebrities have been reacting to their accusations as “male self-pardons” which “commonly involves saying ‘sorry’ into the ether and considering the matter settled.” She points out how, when a tape recording of Donald Trump was released of him bragging about sexually assaulting women, he apologized to the American people, he apologized to his family, he promised to be “a better man,” but he never apologized to Nancy O’Dell or Arianne Zucker, the women he assaulted. Trump wasn’t the only president to act this way. Earlier this year on The Today Show Bill Clinton claimed that though he never apologized to Monica Lewinsky directly, he considered his work of atonement completed as he had publicly apologized for his behavior relating to her several times. After eight women accused Charlie Rose of sexual misconduct, he claimed that “It is essential that these women know that I hear them and I deeply apologize for my inappropriate behavior.” I classify Charlie Rose’s statement as a self-pardon as well. He does say he’s sorry but he doesn’t directly address the women he’s harmed. He doesn’t say sorry to them. There’s a world of difference between saying you’re sorry directly to the person or people you’ve harmed and addressing the public to claim it’s essential that those you’ve harmed know how sorry you are. The first course of action is directed towards the people you’ve harmed. The second course of action is directed towards your concerns over how those you’ve harmed and the public perceive you. When Anthony Rapp accused Kevin Spacey of sexually assaulting him when Rapp was fourteen, and Spacey went to twitter to claim that “if I did behave then as he describes, I owe him the sincerest apology for what would have been deeply inappropriate drunken behavior,” who was Spacey addressing? Was he addressing Rapp and the pain he caused Rapp or was he addressing his own concern over how he was being perceived? Who and what was Spacey concerned with when he came out as gay in the same statement? Trump, Clinton, Rose and Spacey have all released statements that attempt to get the public to focus on their transformation instead of directly addressing those they harmed. Has Uber, Facebook, and Wells Fargo acted any differently? I see a lot of similarities between the male self pardon and the corporate self pardon but the corporate self pardon is even more narcissistic! None of the ads Uber, Facebook or Wells Fargo ran during the NBA finals even had any apologies directed at anyone. Men utter ‘sorry’ into the ether but corporations don’t even get that far. The Facebook ad is particularly egregious in that it doesn’t even admit that Facebook did anything wrong when it sold millions of people’s data. After taking a few sentences to talk about the things people love about Facebook, the ad addresses the issue, sort of: “But then something happened. We had to deal with spam, clickbait, fake news, and data misuse.” It’s not that Facebook did anything wrong, the ad seems to say, issues just came up that Facebook didn’t foresee. 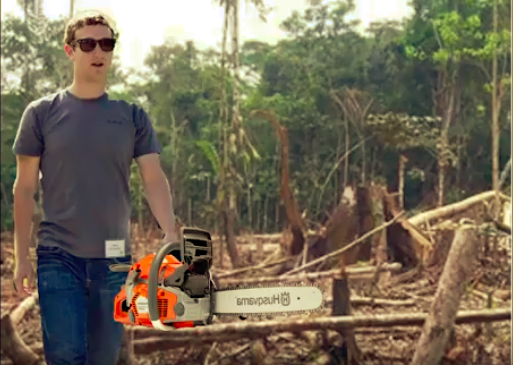 The rest of the ad focuses on how Facebook will do better in the future. Wells Fargo's ad doesn’t do much better. The company committed fraud against many of its clients but they don’t address that directly in their ad. Instead the ad begins by talking about how old Wells Fargo is and how long people have trusted them. Then the ad speaks of the trouble: “Over the years,” it says, “we built on that trust. We always found the way, until we lost it.” How would you feel if someone stole money from you and then didn’t apologize to you but instead lamented that they've lost your trust? That’s exactly what the Wells Fargo ad did. The rest of the ad focuses on how Wells Fargo is reinventing itself and improving. Uber’s ad features their new CEO bragging about how he listens. Then he claims that “with new leadership and a new culture you’re going to see an improvement in our service.” But the ad doesn’t apologize for all the problems their leadership had (and probably still has) with sexism and sexual misconduct—the very reason new leadership was brought in in the first place. Even though these ads don’t have the words “we’re sorry” or any apologies in them, I keep hearing them referred to as “apology ads.” Why is this? Why do many people read these ads as apologies when they don’t apologize? James Baldwin (right) with Washington Post columnist William Raspberry (left) and CNN news anchor Bernard Shaw (center), December 10, 1986. Photo by Stan Jennings. National Press Club Archives. I think part of the problem is we live in a society that overvalues sincerity. In a speech for the National Press Club at the end of 1986, James Baldwin speaks of this particularly American tendency and claims that “as long as you’re sincere in what you say, you haven’t got to know what you’re talking about.” Were Uber, Facebook, and Wells Fargo being sincere in their ads? Maybe so and maybe not but they certainly tried to appear sincere by addressing their scandals publicly. They were trying to appear open and honest because appearing open and honest sells. I think Rose or Spacey were being sincere when they addressed the public. I think they meant what they said, which is all being sincere really means. You can still be sincere if you’re saying something awful. I even think Weinstein’s self-pardon was sincere. It was narcissistic (in the 21 sentence statement the word “I” appears 37 times), juvenile (he literally wrote “I so respect all women”) and ridiculous (he quoted Jay Z) but for the most part, I think he believed what he wrote. But why does that matter? Why does it matter if you’re being sincere in an apology or a so-called apology if what you have to say doesn’t work to help those you’ve harmed? I also think the way a lot of people in the USA look at sincerity is starting to shift. As a whole we’re less obsessed with either being seduced by sincerity or being tricked by faux sincerity than we were when Baldwin spoke in 1986. Weinstein’s facing criminal charges. Rose lost his job. Spacey got fired from his Netflix series. When I was watching the NBA finals at sports bars, I ran into people who joked about, criticized, and mocked the corporate “apology ads.” I think more people are realizing that sincerity doesn’t mean much if what you’re saying doesn’t mean much. On the other hand, Donald Trump is president and no small part of why he’s president is that a lot of people perceive him as being unafraid to say what he means. While it’s also true that he's president because a lot of the USA thinks like him and agrees with him, many people who both agree and disagree with him respect him simply for saying what he really means. But what does it matter if you say what you really mean if what you really mean is awful? Thank you to dylan grayson who looked over this essay and was encouraging. 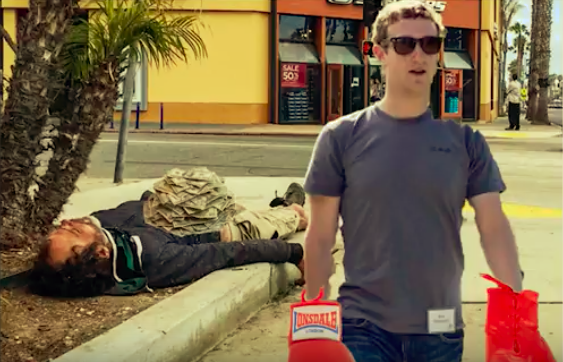 The two images of Mark Zuckerberg engaging in nefarious behavior were (surprisingly) not real and were taken from a funny video created by Bryce Polinko which parodies Facebook's "apology ad." There's a link below.